Van Horton Books, 9780983550518, 256pp. 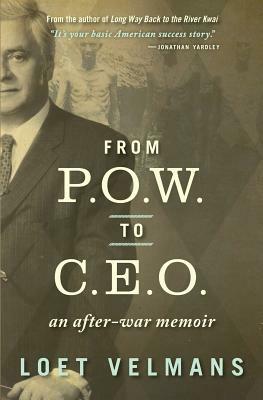 From POW to CEO picks up Loet Velmans's story at the end of World War II, when, as a newly liberated prisoner of war, he returned from the Far East to Europe, and shortly thereafter set out for the United States, newly married and with no immediate job prospects. That soon changed when he was hired by John Hill, the founder of Hill & Knowlton, then America's largest and most influential PR firm. Hill, who saw something in this inexperienced young man that others in the firm did not, sent Velmans back to Europe a couple of years later to set up the firm's first overseas office. In telling the story of his worldwide peregrinations and his eventual rise to the position of Chairman and Chief Executive Officer of Hill & Knowlton, Velmans shares his unique perspective on the "culture gap" between nations and the need for U.S. business to address that gap.